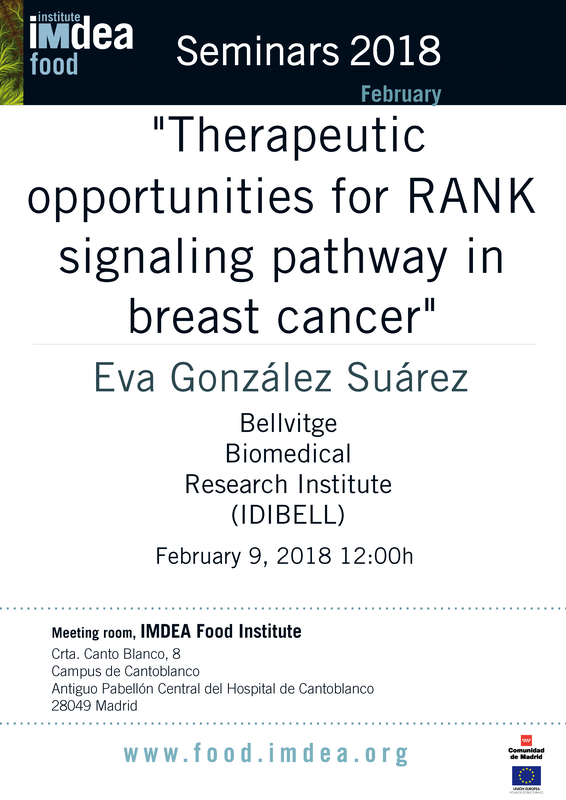 Next 9th of February, Dr. Eva González Suárez, Researcher in the Bellvitge Biomedical Research Institute (IDIBELL), will give the seminar “Therapeutic opportunities for RANK signaling pathway in breast cancer”. This seminar will be held in the Auditorium of the IMDEA Food Institute al 12:00h. Admission is free and pre-registration is not required. This website was designed and developed with Drupal 7 by www.integra-e.com. Crta. de Canto Blanco nº8, E - 28049 Madrid, SPAIN.